1. 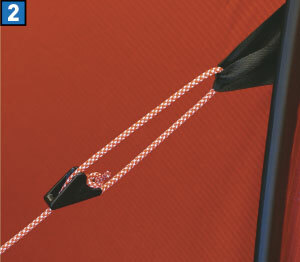 To loosen the Line Runner, use your fingers to pull the line from the Line Runner body, as shown. 2. 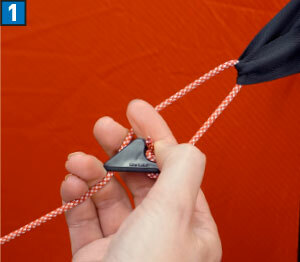 Pull the line to lock it into the Line Runner’s channel.